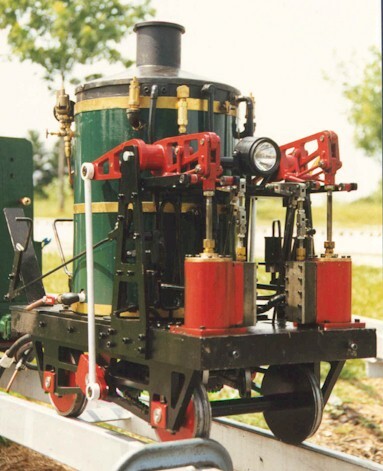 Many early locomotives used vertical cylinders connected to overhead beams, driving pushrods, driving gears to supply power to the wheels. One of the nicknames for this type was Grasshoppers. original locomotive) Sold to new owners outside of club area.